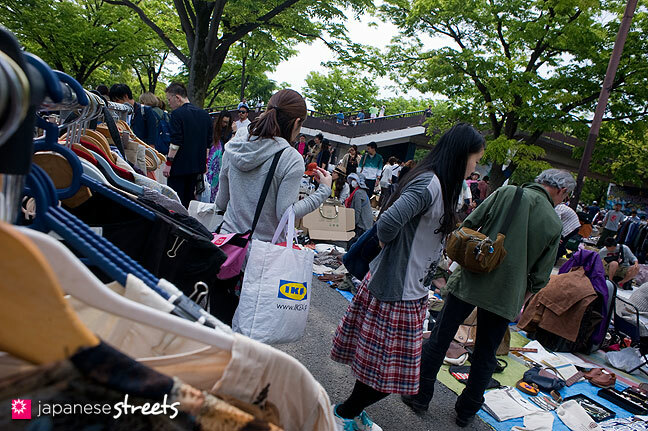 Tokyo has lots of flea markets, but one stands above all: the Yoyogi Flea Market, located conveniently close to Harajuku and Shibuya. 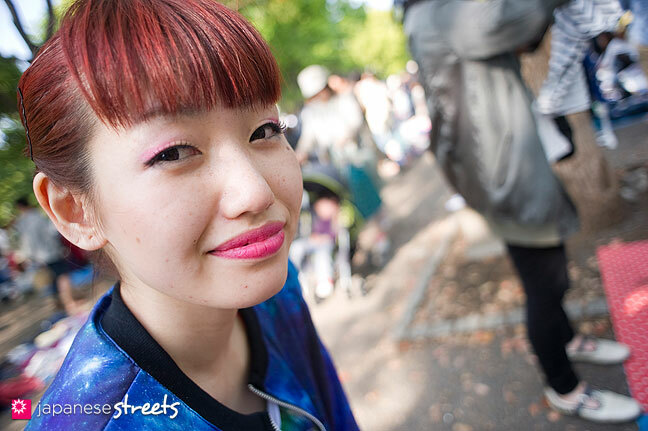 The vendors are mostly young people, including many of the people we shoot at JAPANESE STREETS. They come to sell their own stuff. As a result, it’s almost all clothes and accessories, much of it pretty cool. You can find anything from hand-made items to well-known brand names, and often at unbeatable prices. 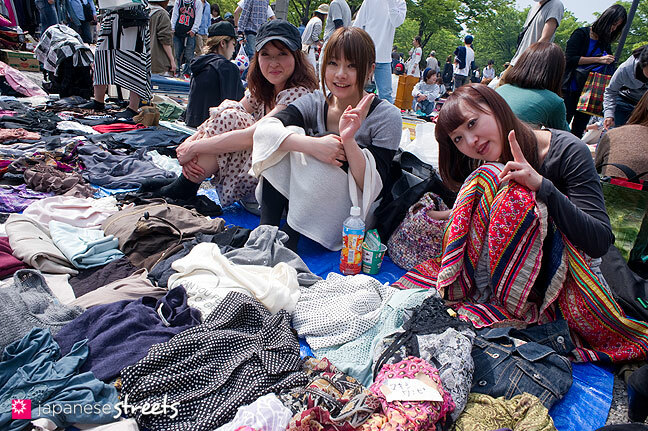 Deals that you will even find tough to find at Tokyo’s many used clothing stores. 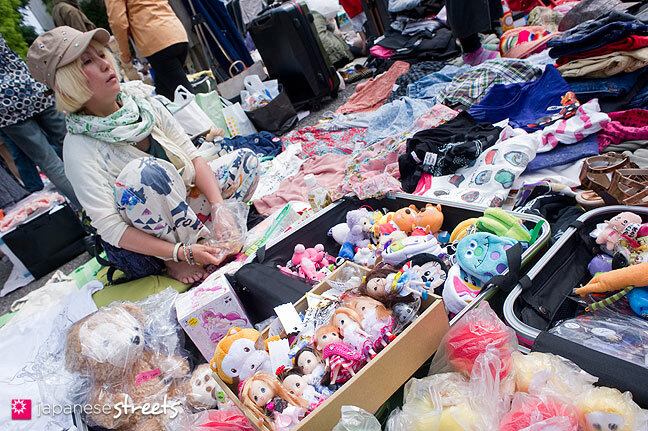 All these goodies attract lots of trendy customers, so the market is not only a good place to find some cool stuff, it is also the perfect place for people watching. 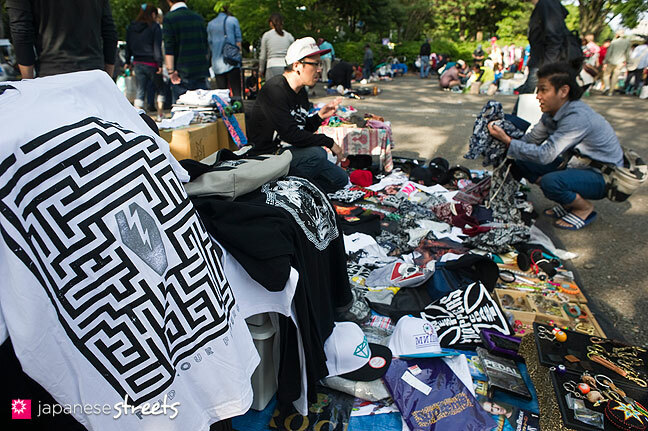 Started in 1981, the official name is actually Yoyogi Free Market. On a good day, you may count some 600 to 800 vendors, but on a slow day it can feel a bit lonely. Both the weather and the calendar make a big difference. If the market takes place on an extended week-end, such as during Golden Week (April 19 – May 5), the space tends to be fully booked. Intended to happen monthly, the market’s schedule is actually a bit irregular. Make sure to regularly check the organizer’s site (in Japanese). It takes place between 9:00am and 4:00pm, but for the best stuff you have to be one of the early birds. 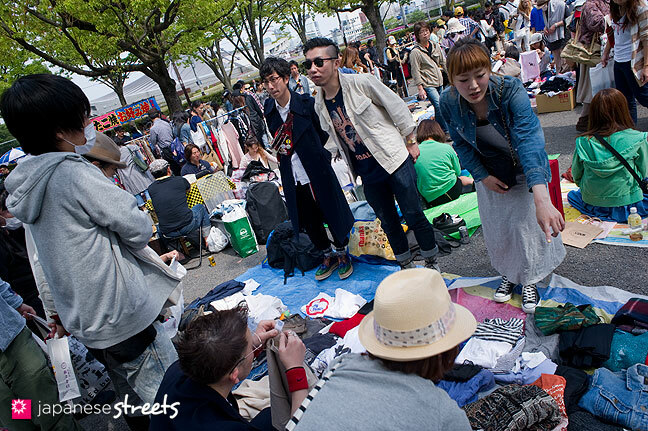 Yoyogi Flea Market. I want to make sure it open on 20-21 Jul. 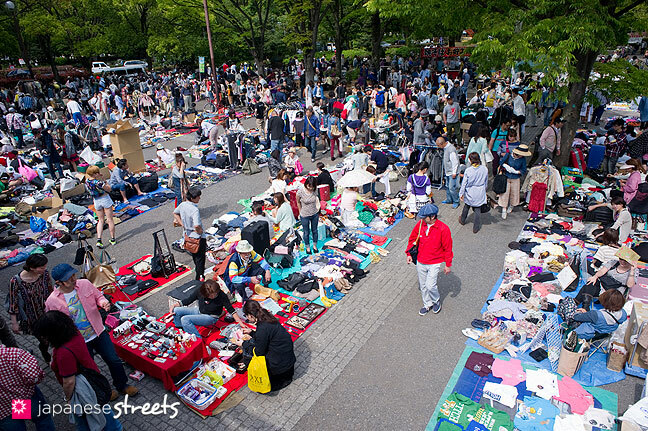 @intira: The Yoyogi Flea Market is held very irregularly these days and often it is not even announced on the website of the organizers… The safest thing to do is to check out the place around 10:00 am on the Sunday mornings that you’re in Tokyo. If there is a market there will be many hundreds of people waiting in line to register. Will there be a Flea / Free market this coming December 15th 2013? @Eric: The organizers have made no announcements yet for December. 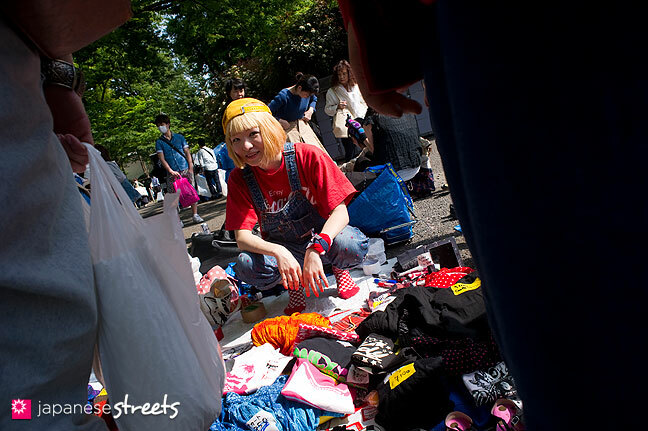 Check the following site for other flea markets in Tokyo. I don’t know if you read Japanese. Otherwise, Google Translate will be of some help, I think. Have fun! hello!! It will be a market next november? thanks in advance!! @david: Do you mean next year November, or this month? Hello, I’ll go to Tokyo on 2nd Jan 2014 and 3rd. Jan 2014. Will there be a Flea / Free market during that day? @Watcharin: I very much doubt that there will be a flea market at Yoyogi Park during the New Year’s holidays, but there will be one at Akihabara UDX (10:00～16:00, about 100 vendors). However, I strongly suggest that you visit Meiji Jingu Shrine and Okunitama Shrine during the first three days of January. Okunitama is also recommended for the last day of the year. As is Zōjō-ji Temple (from just before midnight). Both are really interesting to visit for their New Year rituals and New Year’s markets. You will also see some people in kimono as many people go to shrines and temples to pray during the first three days of the year. Thank you so much for your kindness .I’ll try to follow your instruction. 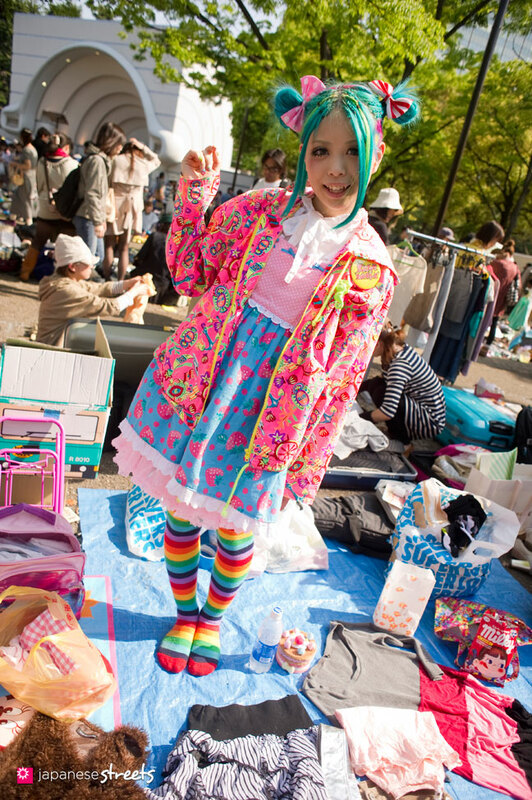 Hi, I will be in Tokyo Jan 17 – Jan 26, is there flea market happening? Thank you so much! 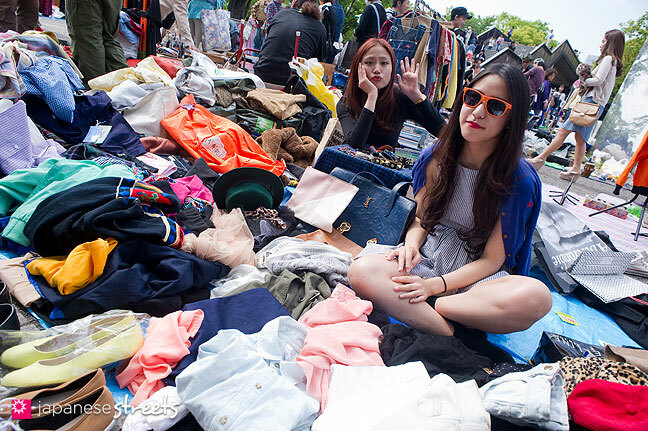 @Lizzy: One of the best sites to keep track of for flea markets is trx.jp. It is in Japanese, but with Google Translate, you can probably figure it out. They already have some 15 listings now for your time period. Another good one to check is this one. Also in Japanese. And then there are many excellent antique markets, mainly at temples and shrines. Use this site. Have fun! hi! how about on march 21 – april 6 2014… during that time span? would there be a flea market also? Hi, I’ll be in Tokyo in April 2014. 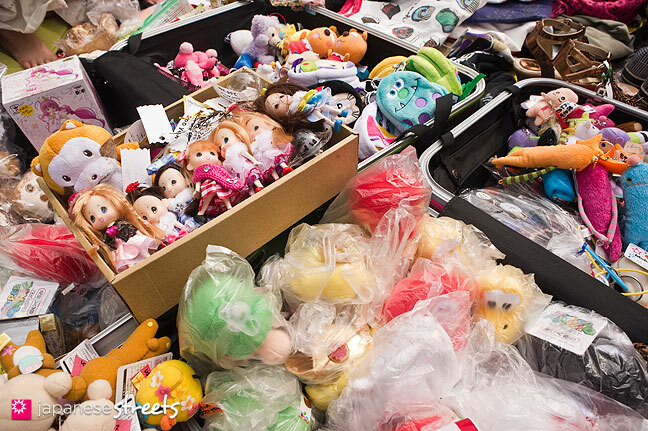 Will there be a flea market on 13/4/14? 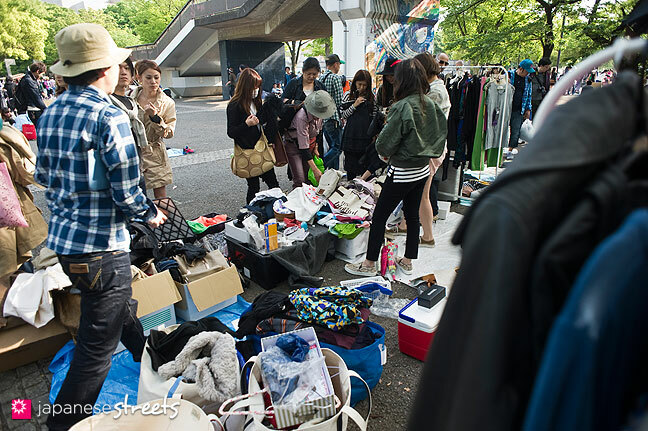 @Cindy: See the scheduled flea markets for April 13th at APRIL 2014 (scroll down) and TokyoRecycle (Japanese, so you may need to use Google Translate). 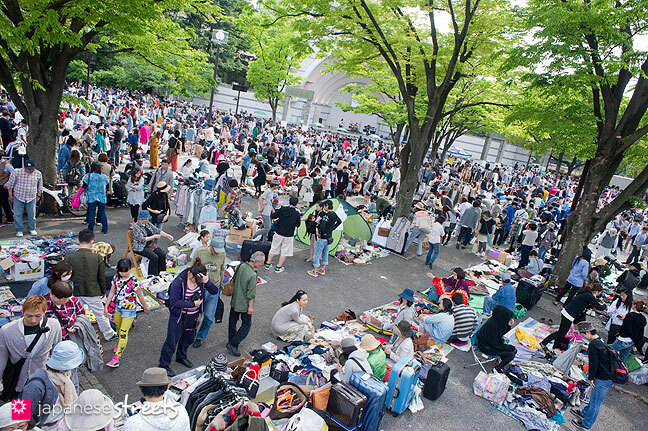 Is there any flea market in Yoyogi in april? ＠Peter hernqvist: The flea market I introduced on this page is not planned for April. But there are other markets. See the links in the previous comments. I’ll be in tokyo in June 19-30, will there be a flea market ? 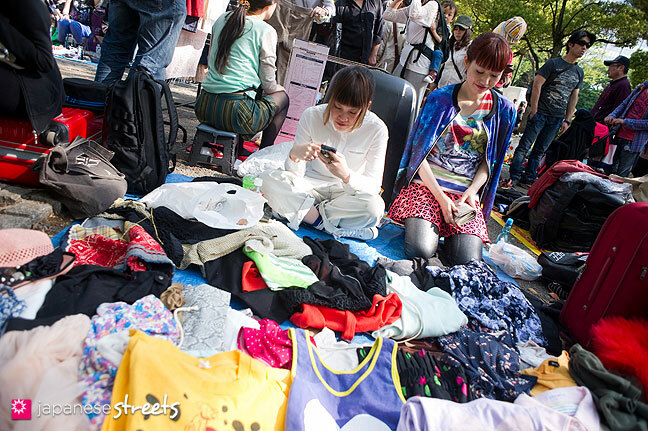 ＠Shanty: There will be lots of flea markets in Tokyo during the period of your visit. Please see the links in the previous comments. 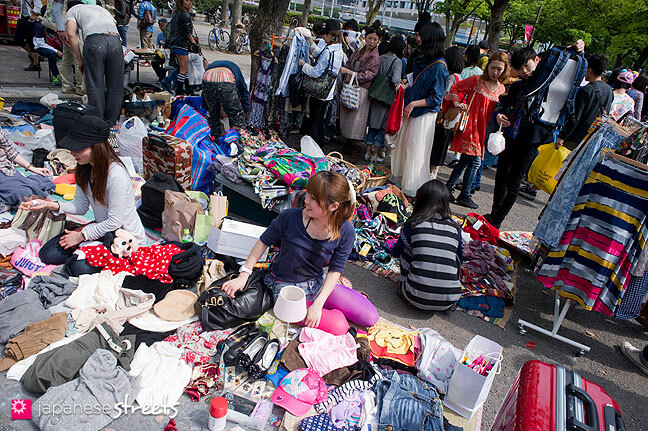 @Megha Bhatia: I have added a list of sites to the article with information about where and when flea markets take place in Tokyo and surroundings. Have fun! 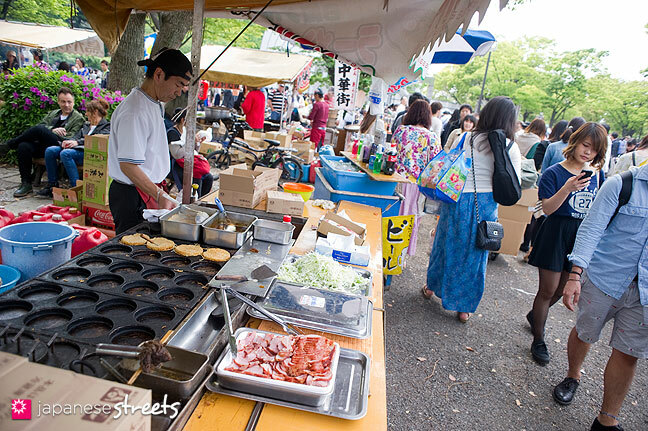 I would suggest the antique market at Yasukuni Shrine or the one at Tomioka Hachimangu Shrine in Fukagawa. More info at Flea markets at temples and shrines. 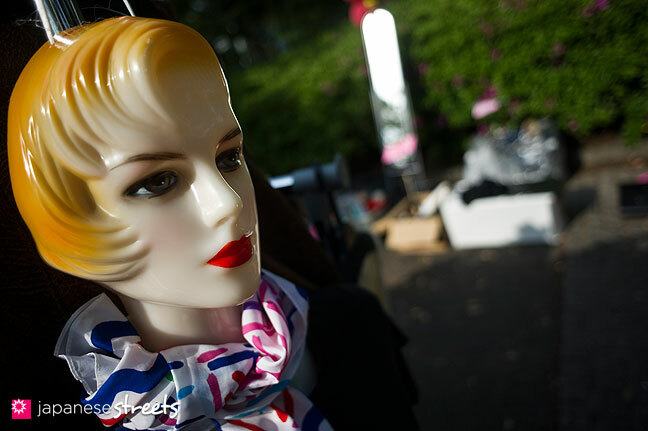 There are two other fairly large regular flea markets (not antique markets!) happening tomorrow: Toshimaen and Komazawa Koen, but I have never visited either so can’t say if they are any good. 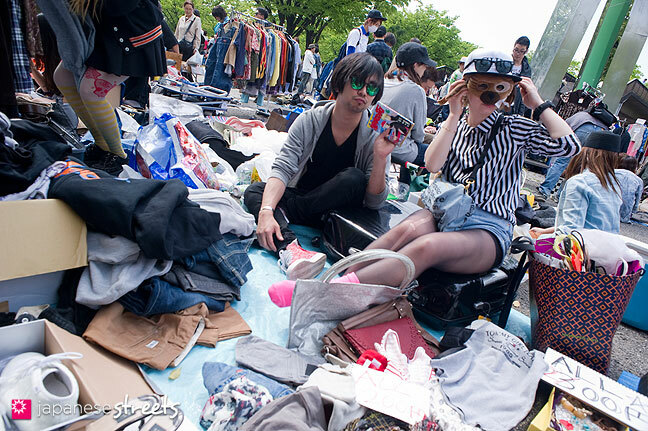 Hello, do you know if there will be flea markets in early june, and where would that be? 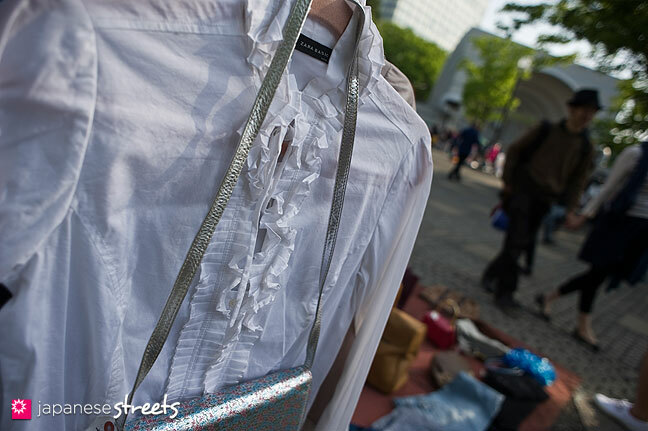 @Charis: Did you check the LISTS OF FLEA MARKETS IN TOKYO in the article above? @Amanda Hicks: Did you check the links in the article, Amanda? 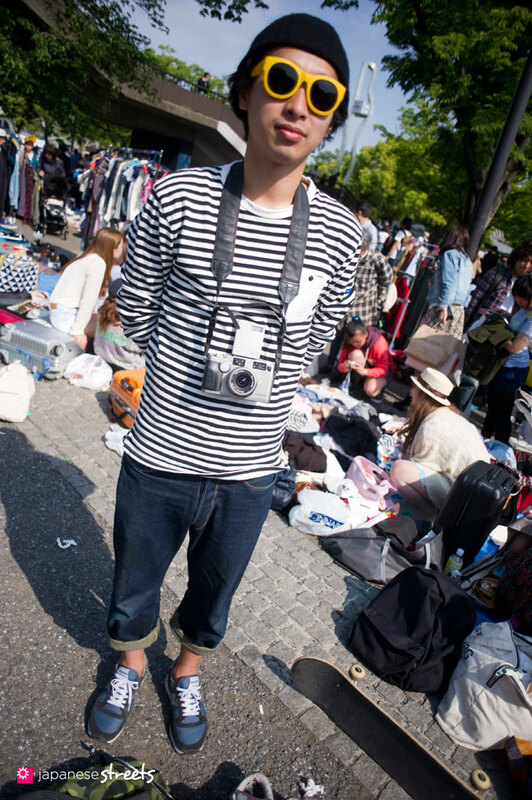 @Judith: There is an antique fair in Saitama today. Everything else is on Saturday, or later. I will be in Tokyo March-April 2016. Is there a market on in that period? 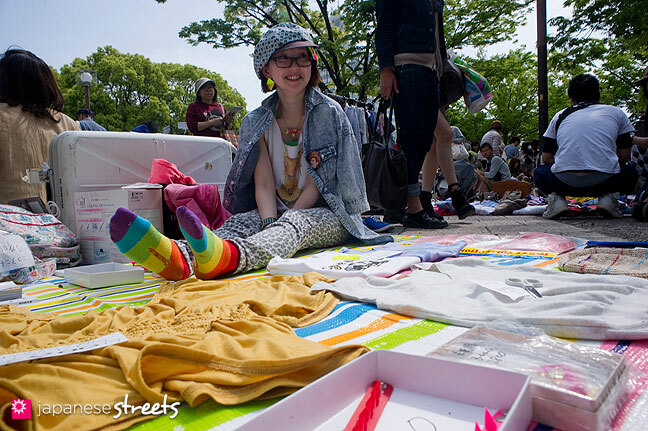 i will be in tokyo on 9-14 June 2016. can u recommand me some flea market, time and place? thanks for your great help~!!!! @Jacky: There are not really any big ones that week-end, but you could try the fairs at Yasukuni Shrine, Tomioka Hachiman in Fukagawa, or Fussa Shichifukujin Antique Fair. More information at this site. Scroll down to June! @Jacky: There is also a small flea market at FUKAGAWA GATHARIA on June 12 (10:00~16:00). Use Google Translate to understand the Japanese. Here is a map. Hi, can I use photo from your website to publish in other website?